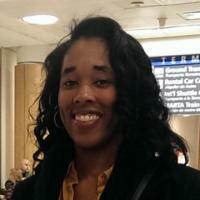 Monica N. Brown is a freelance writer specializing in web design and content marketing. She hopes to take skydiving and dancing the tango in Spain off her bucket list. Until then, she’s writing all about creative marketing and motivation. Using color on your website requires a great amount of brainstorming and development. It is something business owners should carefully consider when creating their business and website design. What can be said about color psychology is its buying power and influence on customers’ decisions. Your website is one of the first places people go when finding out about your company. It’s recommended to use no more than three colors, but those dynamics are rapidly changing as some businesses use four to five. Even though color choice is important, buying is essentially something a potential customer will decide. Evoking emotional responses is key in deciding a personality color for your business. Color psychology is how color influences human behaviour. The use of color on your website can ultimately make a user either feel welcomed or even worse, leave your site. Color is something to consider when deciding on your company personality so it reflects the brand and product or service you’re selling. In the same breath, a hardware company would not use purple as their primary color scheme. Or a business who sells baby products would not use black to welcome parents to their site. Red: Passion and energy. Can also be used to signal danger or caution. Green: Nature, growth, and wisdom. Black: Mysterious or formal. Can be a symbol of grief. Potential customers are important when figuring out your buyer persona in your branding strategy. Your product is what the potential customer will buy so it’s essential to reflect your brand personality color with what you’re selling. Blue is one of the most used colors in marketing and company color. It stimulates feelings of calmness and loyalty. Think about a company who uses the primary colors as their main color scheme. McDonalds uses red and yellow. Target uses red. Walmart, Facebook, LinkedIn, and Twitter use blue. Sprint, Best Buy, and Ikea use yellow. With these companies in mind, each one uses color psychology for buyer conversions on their website. Consider each one’s personality and how it affects how people view them. Toys R Us is a well-known brand who uses multiple colors. Children love bright colors so it works well for their brand. Many companies use red to increase strong emotion and attention. Target, CNN, YouTube, and Coca-Cola are all different companies with different products, yet all have the same goal in mind when converting customers to buy from them. How Does Color Influence Conversions? Research shows the effects of website color influence a customer’s decision. With cool colors such as blue, green, and purple, it invites the user to feel relaxed hence blue color meaning trustworthiness. Warm colors such as red, orange, and yellow give the user a sense of excitement. What can be said about converting the prospect into a customer is carefully considering your goal in what you’re selling. For example, McDonald’s logo colors are red and yellow which means feelings of hunger or appetite. The company’s color choice affects the hungry person’s decision on buying a burger and fries. Consider converting a prospect to buy your product or service using the colors blue and yellow. The potential customer can then come to your website full of blue and yellow letters and photos. They will find themselves feeling welcomed, the color yellow will evoke happiness and blue will create a feeling of trust of your company. Using color on your website in a variety of ways can provide a way to figure out what makes your customers decide to purchase. It empowers them to feel satisfied with their choice. Website color choice is effective when used to promote your brand in a way to convert a potential customer into a buyer. It’s something to consider in all aspects of a business including brand strategy, logo creation, website design, marketing materials, and more. While emotional responses are a part of color psychology, emotions do influence a prospect’s choice.